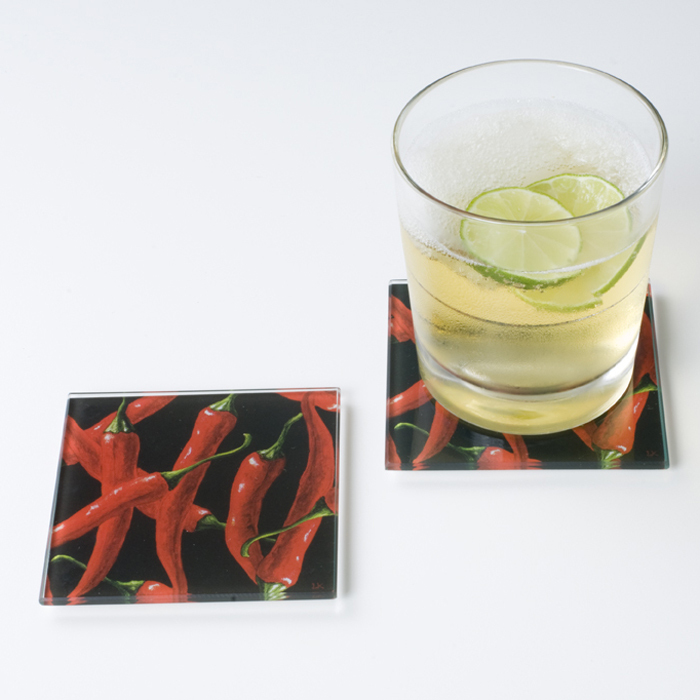 These gourmet quality, tempered glass coasters feature an elegant and colourful printed design. The print is fused to the glass on the backside, ensuring long lasting beauty. 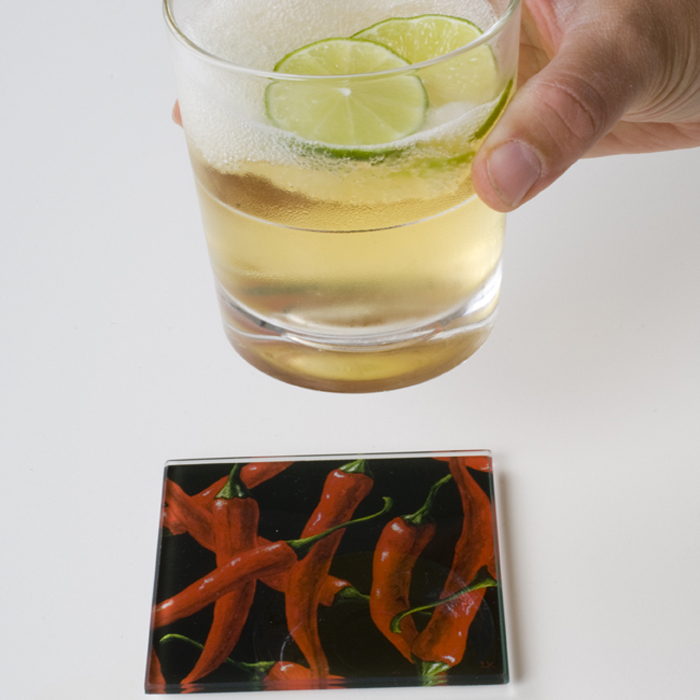 The elegant square tempered glass coasters create a distinctive decorating statement. Prevents condensation on your table. The glass coasters features non-slip feet.